Matthias aka "Mr. 16 Bars"
Remember Hip-Hop? Remember the music before the “bling”, before the pimp swagg, before the music got lost in the image. Remember the Hip-Hop that was an instrument of social change? Remember the music that stood at the foundation of expression before players, gangsters, and video vixens took over? Remember the artists that had the world moving to beats that spoke of social prejudice and injustice. Remember that Hip-Hop? If you don’t remember music like the one I just described—let me introduce you to Matthias aka "Mr 16 Bars". Matthias is a breath of fresh air in a world filled with mediocre beats and rhymes. He has a strong 90's feel when hip hop was most pure and at its best! Be the first to review Matthias aka "Mr. 16 Bars"
All performances are done either in acapella or over an original hip hop instrumental. Depending on the contract, I can perform anywhere from 1 to 10 songs at an (link hidden)eir is always a positive message involved with a lot of crowd participation! Matthias was born in North Philadelphia in 1979. He is one of 10 siblings. Matthias graduated from Eastern University with a BA in marketing. In 2006 he enlisted in the US Army. He completed two tours in Iraq and was awarded two Army Accommodation medals in his support of Operation Iraqi Freedom and Operation Enduring Freedom. 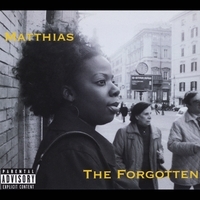 After his discharge Matthias began working on a hip hop album called the "The Forgotten", which is now available on Itunes, CdBaby, Amazon MP3, Google Store etc. Matthias speaks on social issues ranging from his multiple deployments as a soldier to trying to deal with the hardships of reintegrating back into civilian life in a poor urban environment. He currently has 2 music videos, "Combat Stress" and "Popular" which collectively have generated well over a hundred thousands views on YouTube. Matthias tells it like it was—and—is; by interweaving reality, smooth stylistic flow with beats that keep your head nodding. In his latest cd, "The Forgotten", Matthias takes social awareness to another level as he speaks about his deployments as a soldier, and his experiences in day to day urban life . When interviewed by Holly M., a staff writer for "(link hidden)", Matthias was asked, "Out of all the genres of music...why hip hop? Matthias' reply was very simple, " Hip-hop is one of the few genres of music where you can mix other genres along with it and it still keeps its own identity." If you are wondering what makes Matthias so different from so many other new artist all you have to do is just hear tracks like "Shine On", "No Fear", & "Combat Stress", and all your questions would be answered. I guess the biggest difference between Matthias and other artist is that he believes that he has a moral obligation to speak out against things that are wrong and unjust. Other artists are just content with being entertainers, while an artist such as Matthias, wants to challenge people as individuals with the hope to bring the best out of them! Staging, Lighting, and Sound Equipment, is the responsibility of the event organizer. I request a sound check at least an hour before any performance event.